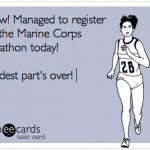 Registration for the Marine Corps Marathon opened today and promptly sold out 2 hours 27 minutes later. Active.com, the online registration provider for the race, crashed for many users. If you have a few hours to waste, head over to MCM’s official Facebook page or Reddit for thousands of stories: gory (couldnotgetinIhateyoumylifeisover) and glorious (I’minhallelujahpraisethegods!). The story sounds familiar, especially to those who tried to register for the Chicago Marathon in February. Not only did Active.com crash under the deluge of thousands of hopeful Chi Marathon runners, it ended up charging many of them multiple times. Race organizers suspended registration for several days to sort things out. Who knew registering for a race would be the hard part, eh? Not that anyone doubts it at this point, but the running boom’s quite real. You can feel it – not only on race day as you try to elbow your way to your corral among increasingly large crowds of fellow runners, but on registration day, as you try to secure your spot in a popular event. 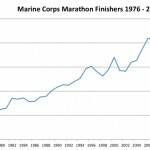 The most popular races in the country have grown steadily from several-thousand (or hundred) person affairs to massive 25,000-runner plus extravaganzas. 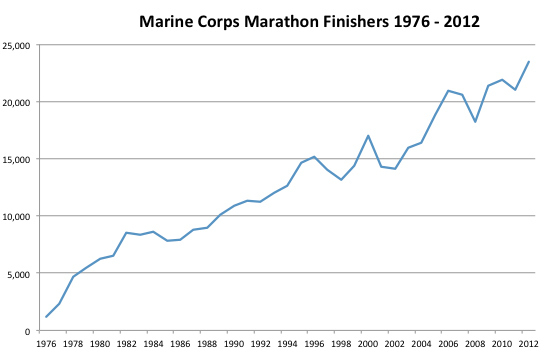 Here are the finishers in the Marine Corps Marathon since its inception. And consider this: the race sold out in 2 hours 27 minutes this year, a record of 11 minutes over last year’s (then) record time. In 2011, runners had 28 hours 4 minutes to get in. In 2010: nearly six days. How indulgent. It’s great to see so many people fall in love with running — but race organizers need to catch on, and quickly. They have to anticipate registration issues with popular events and prevent them — not prepare in advance an eloquent apology to those who couldn’t get in. As for runners: you better believe that we now expect a popular race’s registration system (or their provider’s) to crash. We anticipate problems with registration, along with sell-out times of sub-three hours. And what do we do? Come 12:00 noon, we are at the ready, fingers poised on the keyboard, ready for the race to begin. The race to register, also known as harder-than-hurdling. Good luck to all! 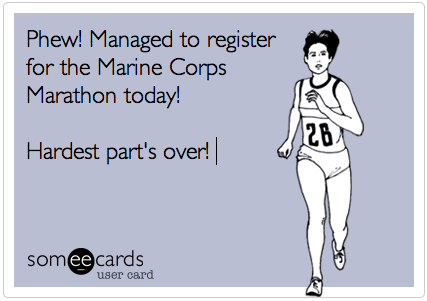 Disclaimer: I did not try or plan to try registering for Marine Corps, but followed the registration craze with interest. It has become crazy to get into certain races. My daughter was lucky and got in due to the help of a friend. I did not try and so I am not disappointed!